For quite a few folks around the country, or to those of you that have paid attention, the new show "Freaknik" has ruffled more than a few feathers. Cartoon Network's Adult Swim has added the program headlined by the modern day minstrel show ringmaster himself T-Pain. He has made quite a name for himself lately and for the autotune technology. 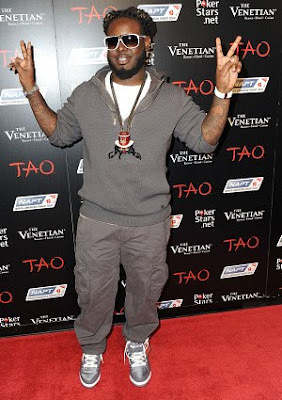 T-Pain's technologically altered singing voice has allowed him to parlay his music career into a often seen commercial (at the moment I can't remember the product, nor care to...) and now TV. Who knows what else is in the works for him? Dare we say movies! Maybe Spike Lee can remake a documentary version of his 2000 film Bamboozled and have Mos Def end this madness once and for all. You've got to be kidding me. If I hadn't seen T-Pain's "Freaknik: The Musical" with my own eyes I would have never believed a show with this much coonery could exist and actually be televised in 2010. As an entertainment writer, I'm usually very subjective on all things our society labels as entertainment. As a young writer, I consider myself quite liberal in my views on hip hop's effects on culture. But this hour-long animated special, which features the voices of hip hop heavy hitters such as Lil' Wayne, Snoop Dogg, Cee-lo, Kelis, and Lil' Jon, was anything but special. Truth be told, I'm usually an advocate for the it's-not-that-serious philosophy, but last night Cartoon Network's Adult Swim rendered me totally speechless.